A page where I will put skyline parts I have for sale. 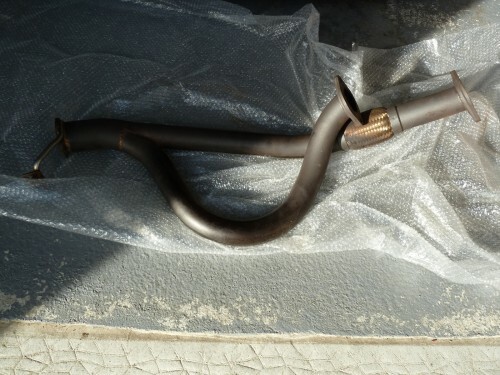 I have for sale my Fujitsubo front pipe. 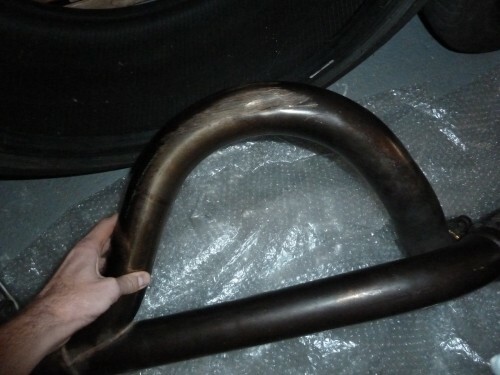 This is the equal length version of the front pipe. 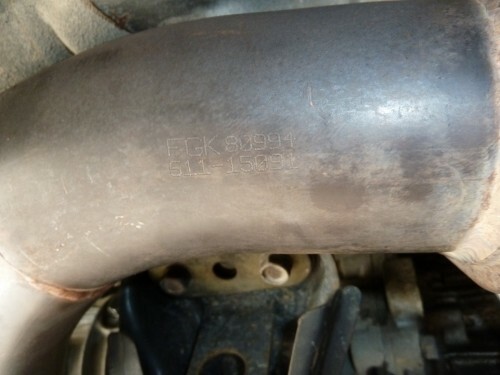 It’s is good condition beside a small bent on one pipe. It does not affect durability not strength. 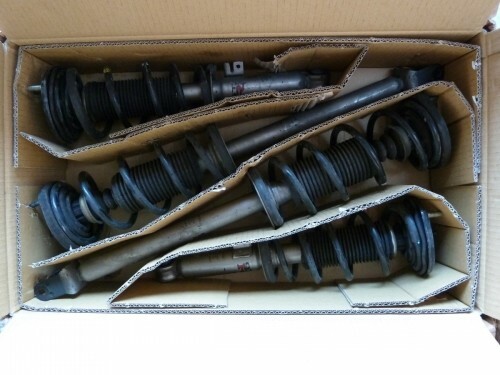 Part number is 611-15091. I believe it’s for R34 GT-R only. It may be possible to adapt it on other GT-R but you will have to find out by yourself. Ready to be shipped. 300 euros. Can be shipped anywhere in Europe at buyer expense. 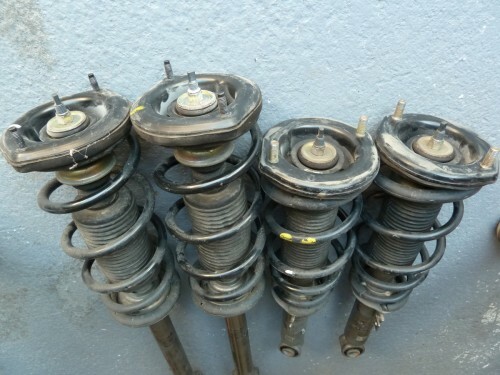 For sale is my set of standard Shock absorbers. They’re in pretty good condition, no leak nor rust. 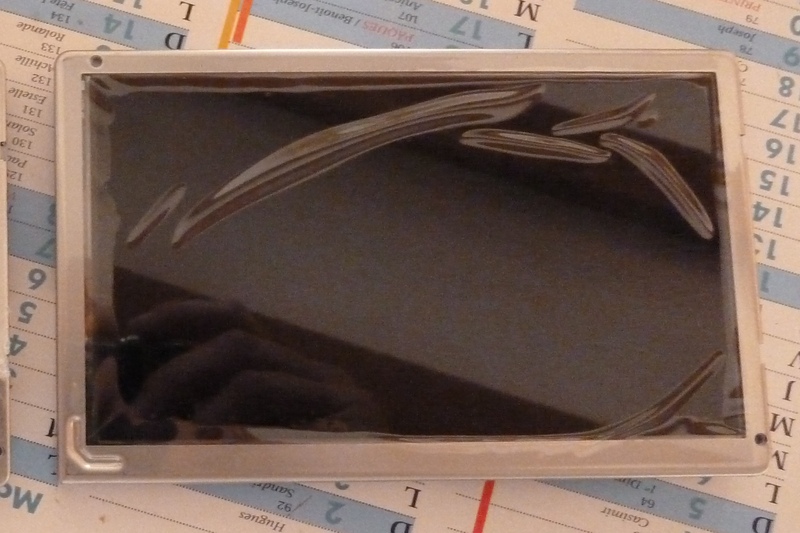 Ready to be installed. 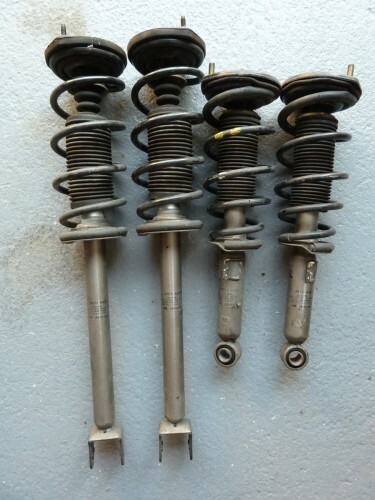 They will fit R33 and R34 GT-R. They covered around 45000km. 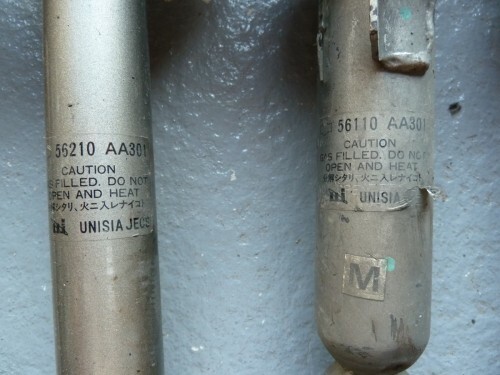 Part numbers are 56110-AA301 for front and 56210-AA301 for the rear. Ready to be shipped. 300 euros. Can be shipped anywhere in Europe at buyer expense. This set of terminals adapters allow you to use a battery with standard terminals rather than the JIS terminals without cutting wires (more info). Two sets available. 25€ euros/set, can be shipped in Europe. 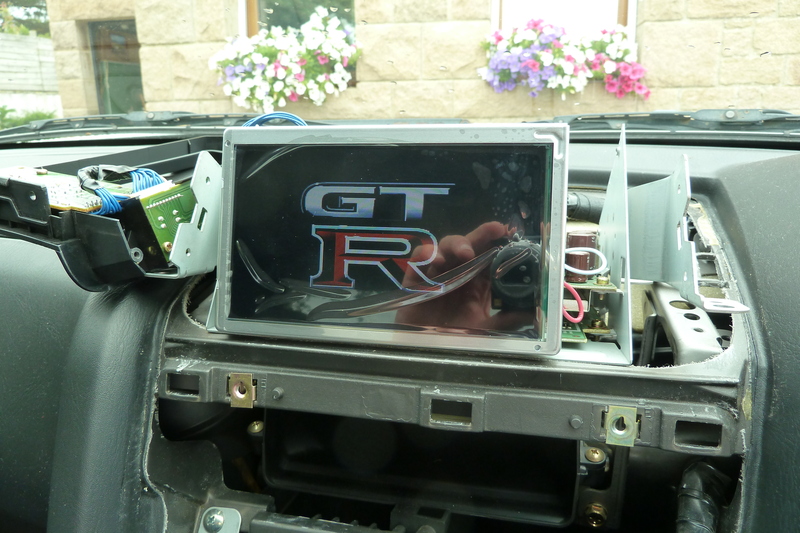 If you are looking for a new MFD Sharp screen for your R34 GTR I have one for sale (check how to replace it). It’s brand new and it won’t cost you 1000 euros : 200 pounds (230 euros). 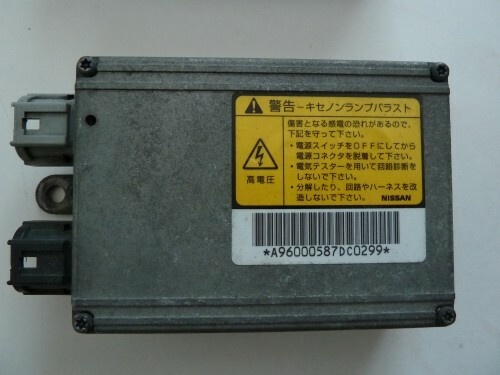 It’s suitable for early GTR (1999 – june 2000) and late models from 2002. I can check if it compatible with your car. 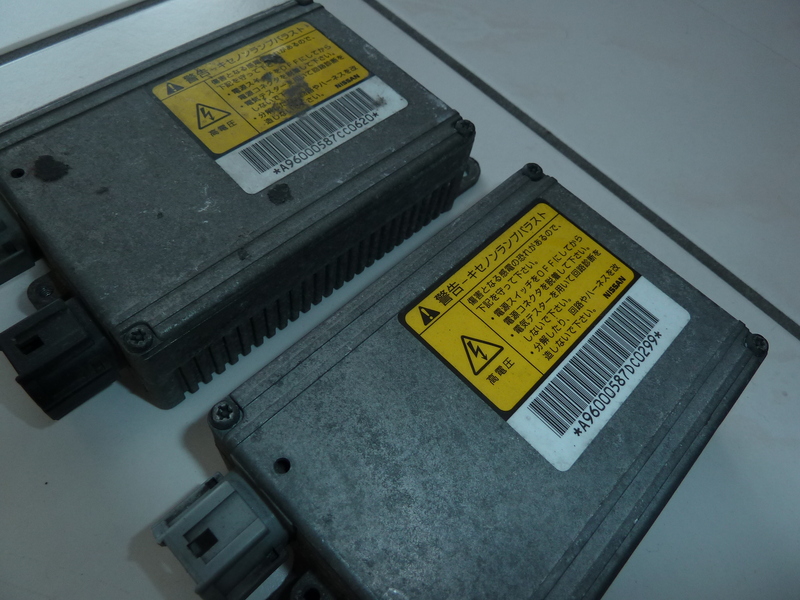 Due to halogen conversion I have for sale two Nissan ballast. They come from R34 GTR xenon headlight. 40£ each or 75£ both. 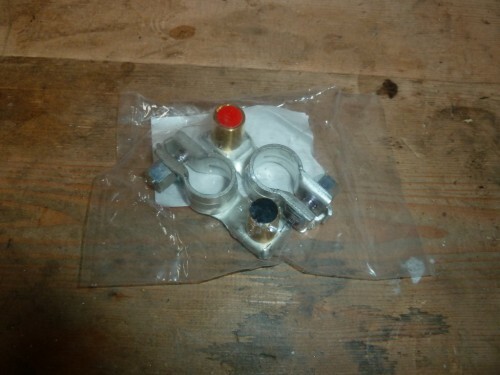 I want to buy JIS battery to standard battery terminal adapter. Do you still have it? Sorry I don’t have them anymore. Best try would be on rakuten.